The Quakers put forth their best effort in meet that featured many of the best junior high times and marks in the state this season. At the end of the night, Salem finished 9th with nineteen points out of 15 teams that scored. Scorers for the Quakers on the night included Dillon Monroy 3rd in the high jump, Collin Helmick 6th in the 1600, Will Madison 7th in the 800, the 4×200 meter relay team of Monroy, Lance Bailey, Caden Swiger, and AR Sharma and the 4×400 meter relay team of Helmick, Monroy, Sharma and Madison. 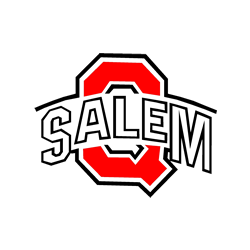 Salem will be back in action Monday at Carrolton as field events start at 4:30.